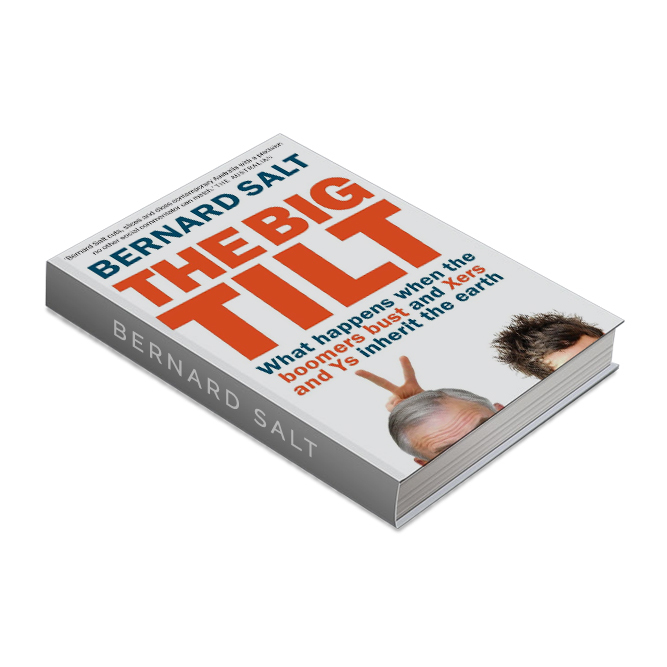 Bernard Salt is one of the most quoted and widely-read social commentators in Australia. His books, columns and corporate presentations are followed by all levels of business and government as well as by many people within the broader community. His observations and insights are always evolving. Brings to life the shifts and shuffles that are impacting on the way in which Australians are settling their continent. The report is pacey and sometimes edgy in its interpretation of the statistics. 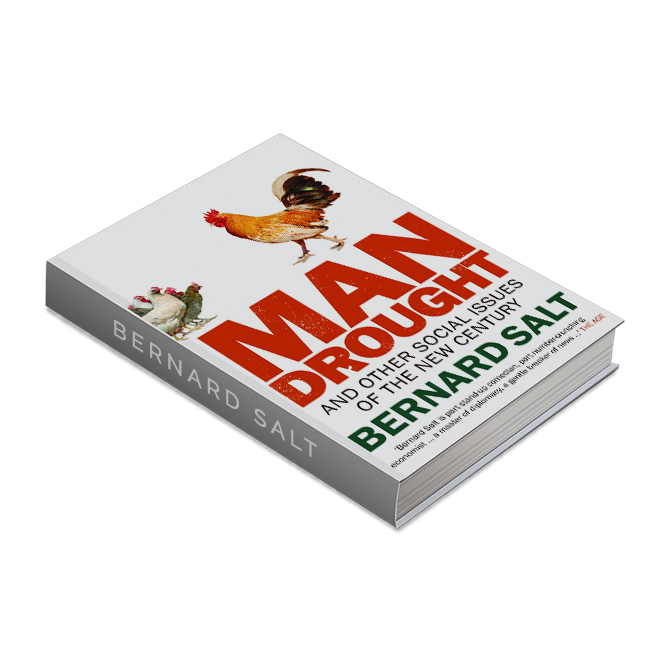 It is also funny: Bernard Salt has an eye for quirky detail, guaranteed to entertain and amuse. When did it become socially acceptable, or at least not unacceptable, for a young couple to have children out of wedlock? The answer is at some stage during the 1990s. 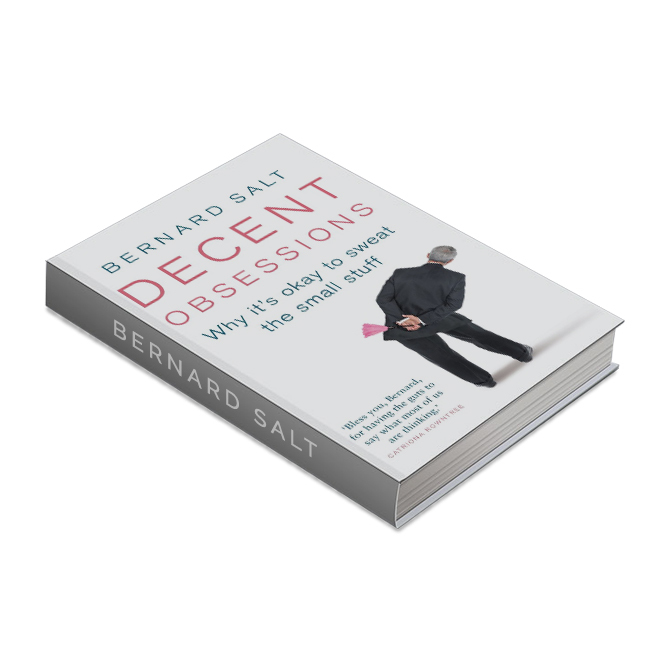 In his groundbreaking new book, bestselling author Bernard Salt tackles this and countless other social and demographic questions currently facing Australia. What decades had the most influence? How did we compare to the rest of the world? Where are we living, what are we wearing, and what does it all mean to a Baby Boomer, Gen X’er or Gen Y’er? Articulate, chatty and witty, The Big Picture monitors and interprets those factors that have a bearing on where we live, when we marry and how we work. This is a book that looks at both the minutiae, and the motivational forces, that shape the Australian community. Why are there so many single women in their 30s? What’s an OFFAL? 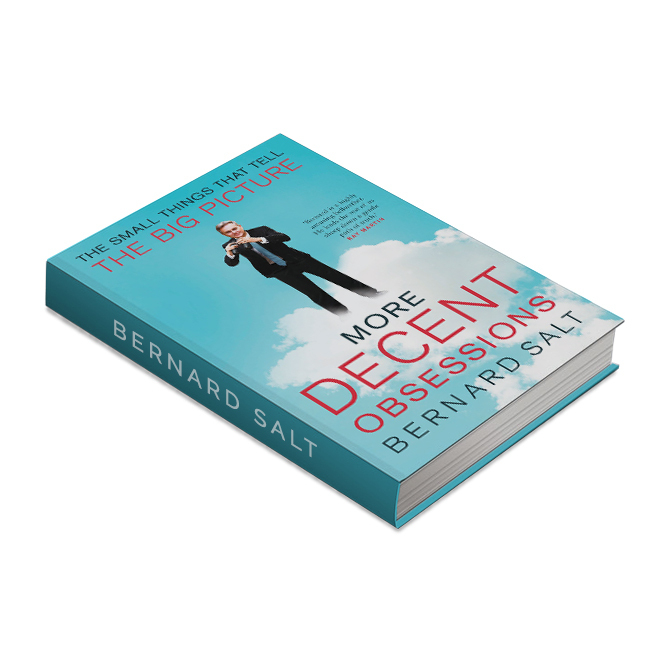 In this entertaining and insightful book, social commentator Bernard Salt answers these and many other pressing questions about contemporary Australia. Drawing on current census data and his own research, he presents a quirky, enlightening tour of the world we live in. Baby bust. Environmental blasphemy. The hotness delusion syndrome. These are just some of the intriguing new phenomena this next decade may yield. The past decade has provided us with a lot of fodder for prognostications—with Facebook and Twitter coming up from nowhere to suddenly dominate the culture, the iPhone’s complete transformation of communication, and the Wikileaks new world order, this decade has yielded much that would have been unthinkable in the once-futuristic-sounding year 2000. So what will 2020 look like? Will an iPhone-esque gadget be our main portal to the outside world? Will the boomers be receding gracefully from their dominant perch over the culture? Will the term “friend” still mean the same thing? Will the new blasphemy look more like forgetting to bring your re-usable coffee cup to the neighbourhood café? Most importantly, will the convergence of all these new technologies create a merging of all the aspects of Australians’ lives, resulting in The Big Blur? From the bestselling author of The Big Shift, The Big Picture and Man Drought comes a witty and animated examination of the decade to come. What is the etiquette of greeting your boss (of a different gender) in a social situation? Should you shake hands as you might in the office or should you air-kiss and if you air-kiss should it be a single peck on the cheek? Have you ever left a social function thinking “am I the only normal person in the world? Are you an ‘exciting’ or are you a ‘boring’ or maybe you’re an ‘earlyist’? Have you ever become engrossed in a trashy magazine at the dentist, only to realise that it is a decade old? Why do ‘mates rates’ always favour the buyer and never the seller? Have you noticed the new trends in the language of cafe menus? 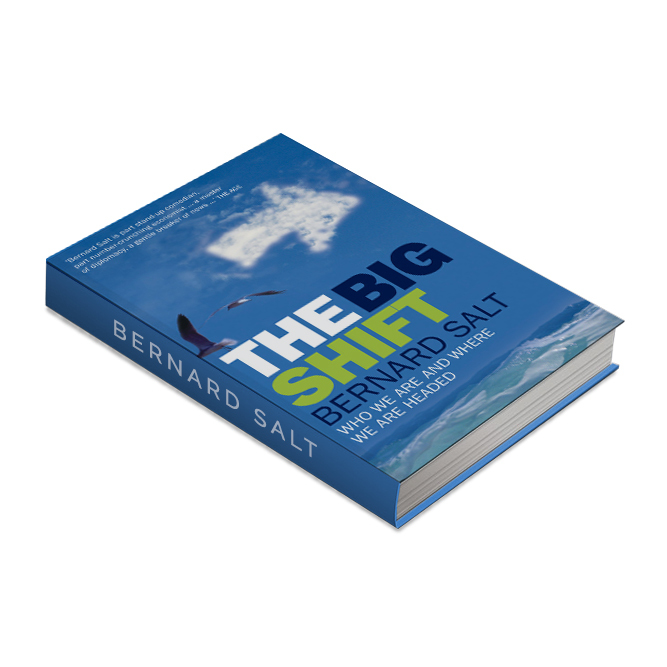 Over the years Salt has charmed Australian readers with his unique blend of social insight and down-to-earth observations. In More Decent Obsessions Salt channels our innermost thoughts and helps us understand ourselves a little bit better. If not Salt, then who else would tell the Australian people the truth about the Goat’s Cheese Curtain, ticket etiquette at the deli counter or how to navigate the introduction of the unisex loo? 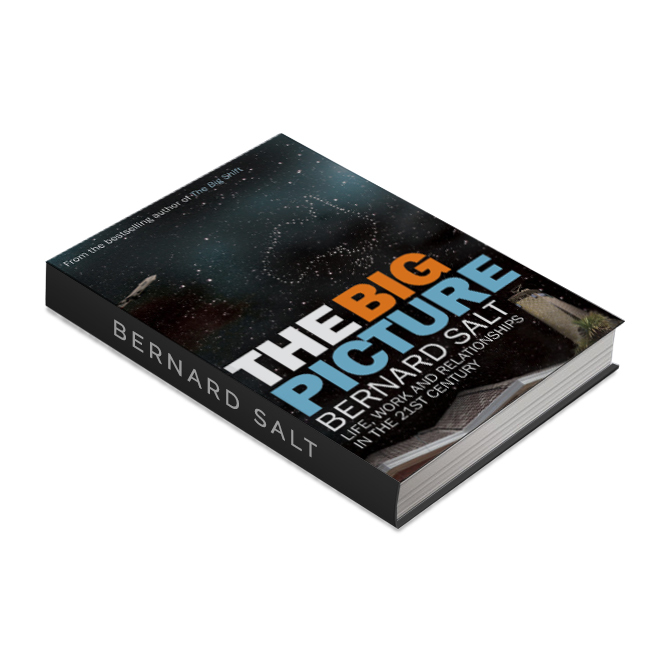 Join Bernard Salt on a playful yet insightful journey that takes us forward to the 2030s and back to the 1960s examining life, manners and more to sketch a bigger picture of modern life in Australia.